Upload your own fonts and use them for awesome typography designs. 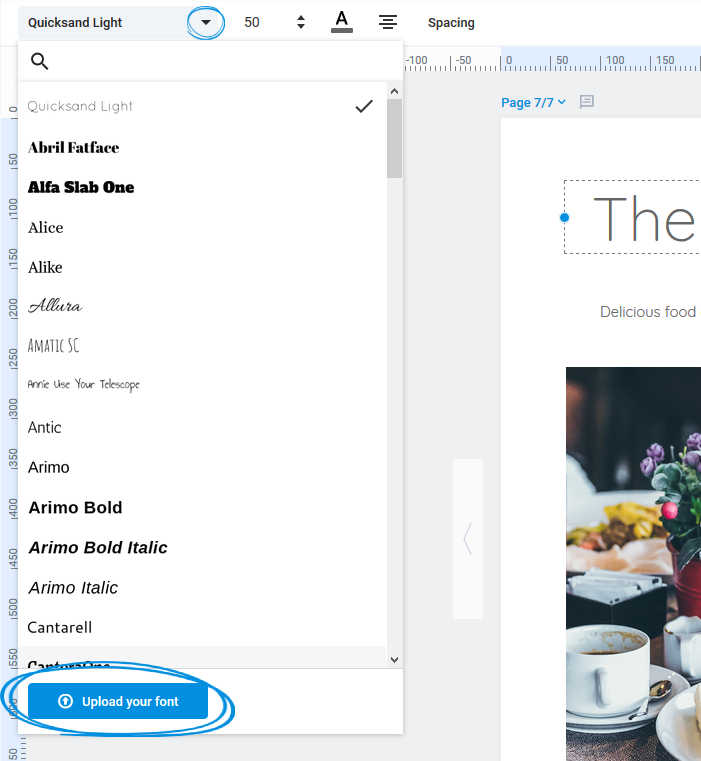 If you happen to use the editor to design online publications, we have some good news for you! 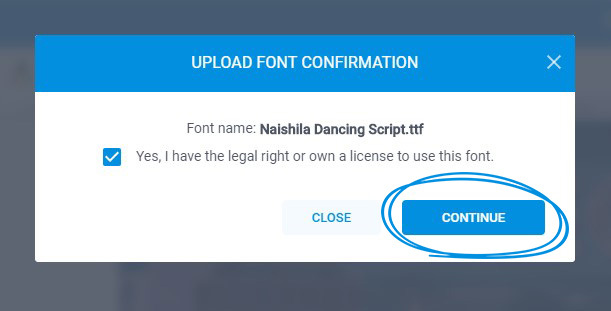 Now you can upload custom fonts to create awesome designs if you are one of our Starter users and above. Typography is really important for any designer, because it has a huge visual impact. Having a custom font will really help get your designs right and communicate your message using your brand font. Go to font selection and click on "Upload your font". The font you uploaded is automatically applied to the selected text and it will become available as an option in the fonts list with an arrow icon marking it. Please keep in mind that we only accept TTF and OTF file types for custom fonts. Check this article to see how you can manage your fonts (upload, view or delete). The feature is available with all our new premium pricing plans, so if you've upgraded your account after January 10, 2019, you already have access to this feature. Your custom fonts will only be available for you, in your account. No one else will have access to your fonts. If you have any questions about this new feature please tell us via live chat.